Hint of tanning to black and white pages. Small area of surface damage to front. Not price clipped. Paperback. Unpaginated. Giles' popular cartoons from the Daily Express. 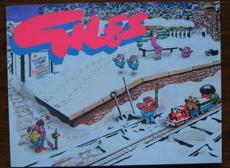 Also includes a good selection of Giles' RNLI Christmas images in colour.